Upgraded in 2014, this UV intensity monitor is designed to be used on all versions of the UVMax Pro Series validated UV sterilizer models including the Pro10, Pro20, Pro30, Pro50, and Pro24-186. 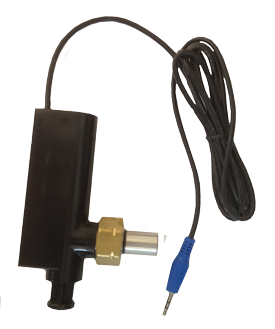 This sensor is also used on the G PLUS, H PLUS, J PLUS, and K PLUS monitored units. Furthermore, this part is identical to the Sterilight 440256-R, it just has a different part number and product label. Because of this, sensor #650580 is a direct replacement UV sensor for the Sterilight SM80 and SV50 sterilizers. 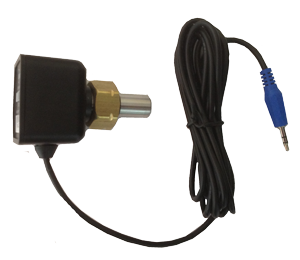 This sensor has adopted the part number of the previous-generation #650580 intensity monitor sensor which had a push-button plunger (pictured below). This older version of this sensor has been discontinued by the manufacturer. The new version is a direct replacement for the discontinued model. This version of the 650580 sensor with the push-button plunger has been discontinued and replaced by the version pictured above and to the right. If you require a replacement sensor for a Trojan UVMax Pro7 or Pro15 UV sterilizer, click here. These models use a different sensor.